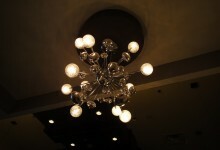 Andreea Avram Rusu’s Confetti Glass Chandelier is reminiscent of a (very stylish) satellite. 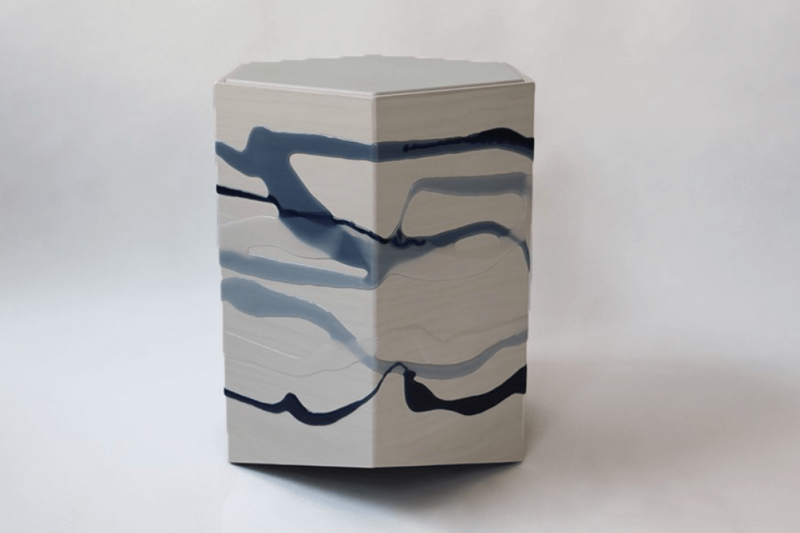 At the Architectural Digest Design Show last week in Piers 92 and 94, a thin man in an elegant, window-pane suit strolled past a furniture booth. He looked like a somebody, but who? 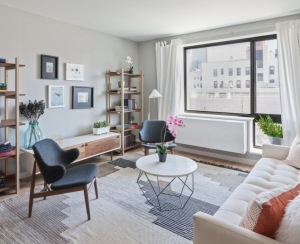 Someone ran up to him, exclaiming, “Jamie!” It was Jamie Drake, the award-winning interior designer who has designed residences at many of Manhattan’s most coveted addresses. 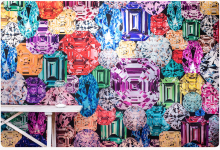 He was exploring the show, which is a feast for the eyes and the apartment-decorating mind, featuring over 400 companies offering wallpaper, rugs, lighting, and appliances, including big brands as well as independent artisans. Drake was likely strolling the aisles to find something fantastic for a client’s New York City apartment. Brick Underground had no such agenda, other than seeing what was new and fresh. Here are the 10 most fabulous items that we saw. Hopefully they'll provide some inspiration if you're considering sprucing up your own apartment sometime soon. 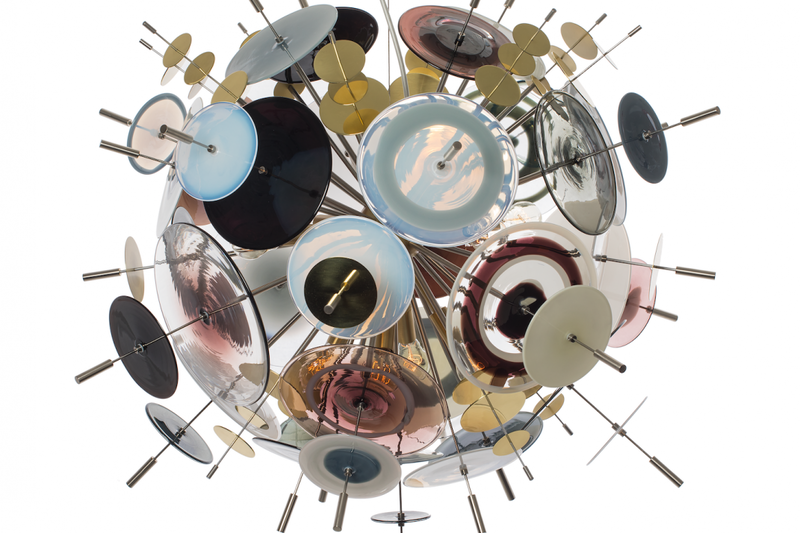 You can choose the colors and brass or stainless steel accents for Andreea Avram Rusu’s Confetti Glass Chandelier with hand-blown glass disks. 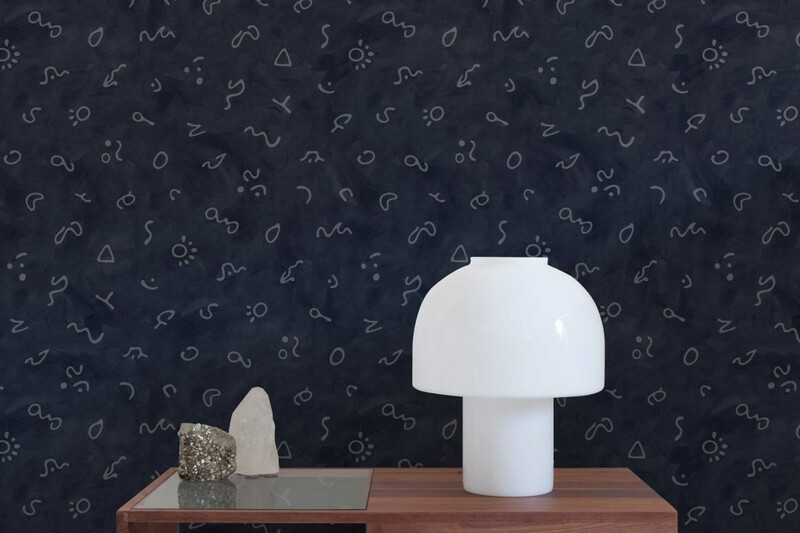 New Yorker Aimée Wilder’s newest wallpaper, the Neptunian Collection, was inspired by her scuba diving expeditions. 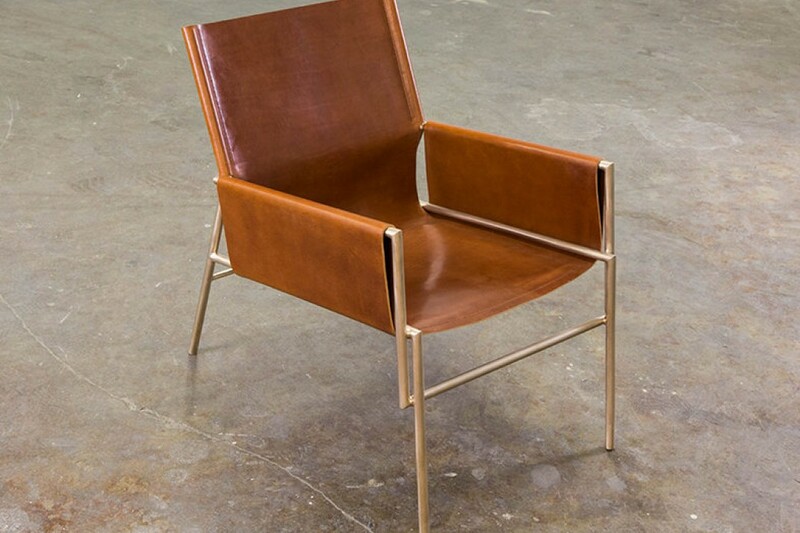 We’re crazy about anything bronze, like this bronze and leather Lincoln chair from New Format. The hardware on this console from Debra Folz Design is inspired by ribbons and hand cast in solid bronze. We like its soft, melted look. 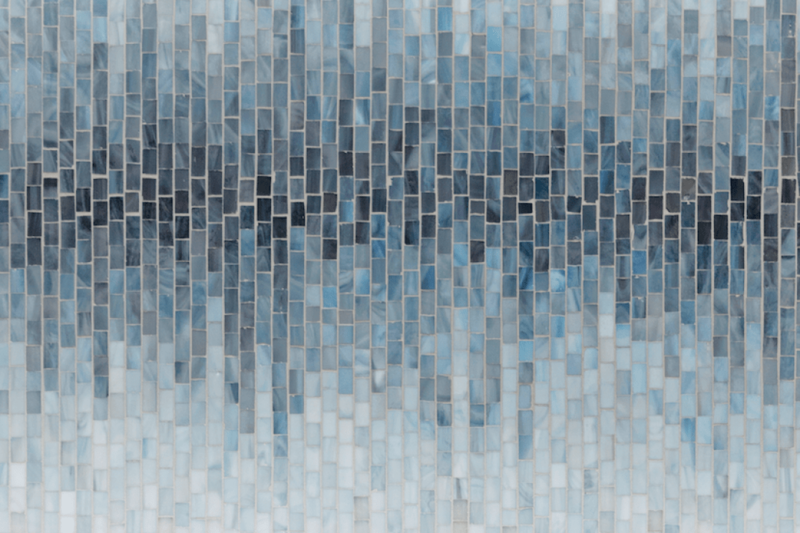 Artistic Tile’s Billie Ombre is meant to pay homage to the singer’s melodic range. 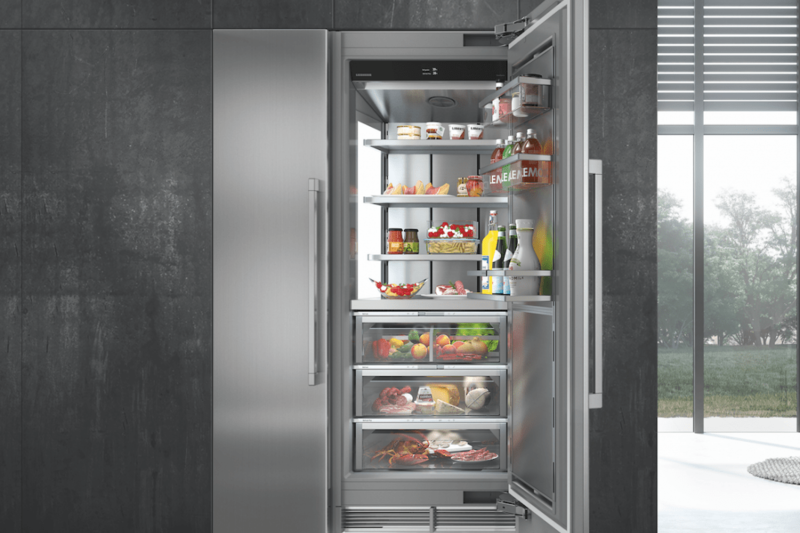 Liebherr’s new Monolith refrigerators have independent climate compartments, so you can store fruit and veggies in a high-humidity drawer and meats and cheeses in a low humidity drawer. 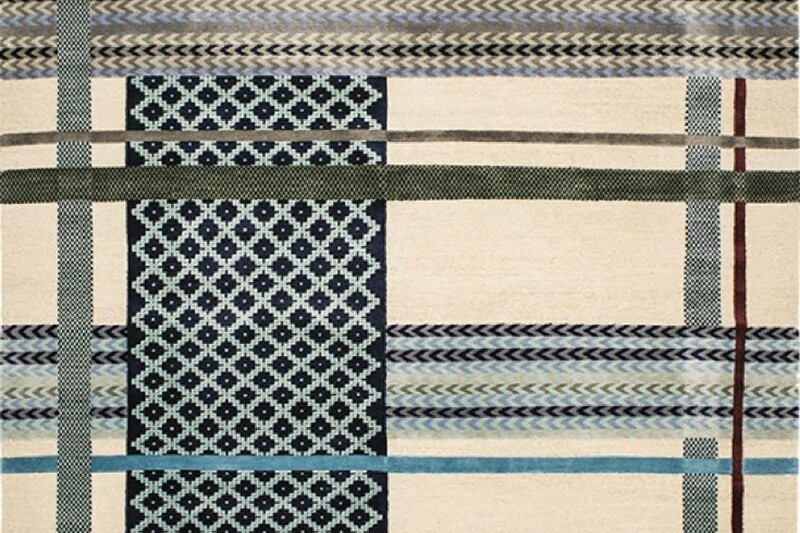 Jan Kath’s new hand-knotted rug collection recalls darning samplers from the 18th and 19th centuries in colors that fit 21st century apartments. 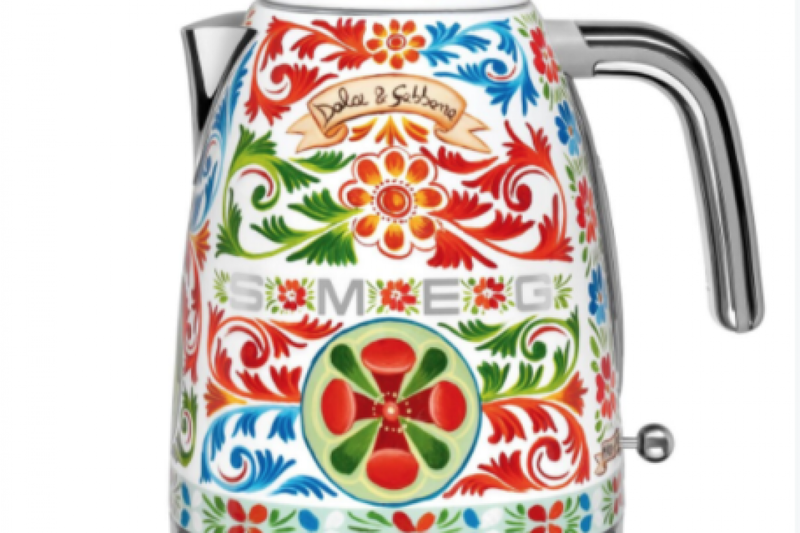 The Italian appliance manufacturer Smeg teamed up with Dolce and Gabbana on a line of small appliances in bright designs that make “pop of color” an understatement. 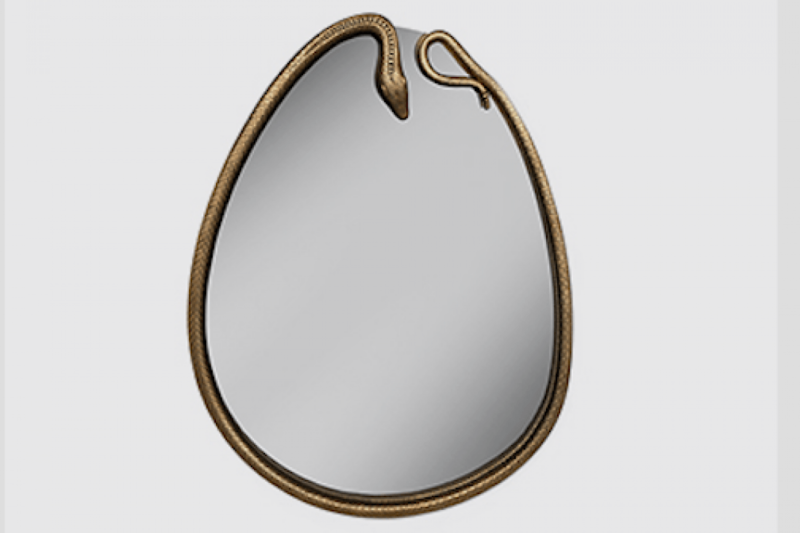 Koket’s new Serpentine mirror brings the drama. 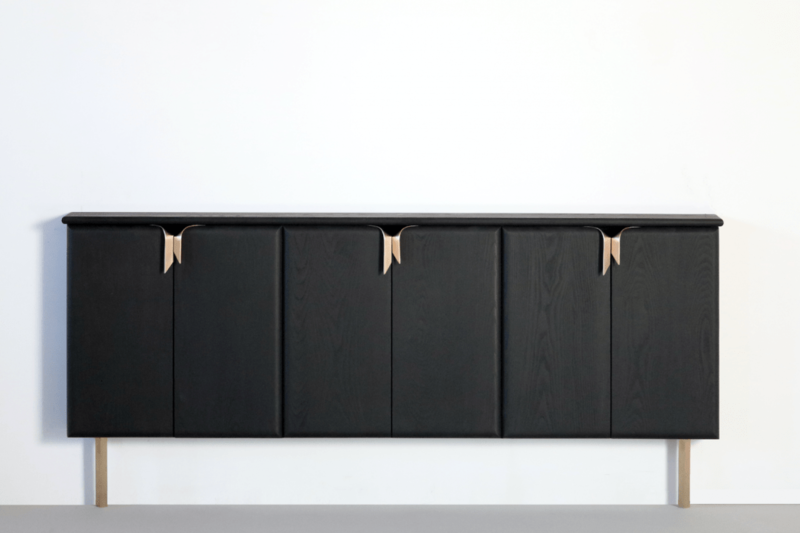 Noble Goods uses poured resin to add splashes of color to its furniture line made in Brooklyn.